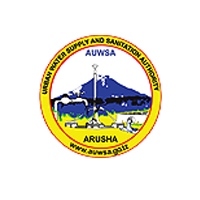 The Arusha Urban Water Supply and Sanitation Authority (AUWSA) is a legally established entity responsible for the overall operations and management of water supply and sanitation services in Arusha City. It is among of the best Authorities in Tanzania. The core function of the Authority is to provide clean, portable and wholesome water to Arusha City residence, disposal and treatment of waste water from customers connected to the central sewerage system. In order to attain its vision and mission, AUWSA is seeking to recruit dynamic, experienced, competent and qualified Tanzanians to fill the following vacant posts within the Authority’s establishment. Holder of Masters Degree in Water Resources Engineering or Civil Engineering from a recognized Institution. Nature of Employment: Unspecified Period Contract. To supervise management of water sources (bore holes/springs). To supervise preparations of reports of water statistics. To supervise studies of water needs and recommend accordingly. To supervise connections of new water networks. To supervise periodic flushing of water infrastructure. To supervise maintenance and rehabilitation of water network infrastructures. To perform any other relevant duties as may be assigned by the Technical Services Manager. Holder of Bachelor degree in Water Resources or Civil Engineering from a recognized Institution. Working experience of at least four (4) years in Project Management. Master’s degree in Water Resources Engineering from any recognized institution will be an added advantage. To assist the Project Coordinator in all matters related to water during the implementation of the project. To assist in the preparation of designs, drawings, cost estimates and bills of quantities for water facilities. To Participate and provide technical input in tendering process. To Review all reports related to the implementation of the project and give proposed improvement to the coordinator. To Conduct daily site inspections to determine adherence to project objectives, works standards and safety practices, reviewing inspection reports and making field inspections to rectify the deficiencies identified and recommending areas needing improvements in the performance by contractors and Consultants. To ensure that water interventions achieve the qualitative and quantitative aspects of relevant standards. To Perform any other related duties or responsibilities that may be assigned by the Project Coordinator. Reports To: Head of Water Network Section. Holder of Bachelor Degree in Water Resources Engineering, Civil Engineering, Environmental Engineering from a recognized Institution. Must be registered by the Engineers Registration Board as a Graduate Engineer or Professional Engineer. To assist in carrying out all designs, management, development, maintenance and rehabilitation of water network infrastructures. To maintain records of water network inventory and monitor all factors affecting the network. To assist in handling customer complaints relating to water supply. To carry out studies for water losses and recommend the corrective measures to solve the problems. To prepare and maintain record of daily major and minor breakdowns of water distribution system and cause for prompt repair of the same. To supervise and curbing technical losses of water through leakages, breakages, system overflows etc. To perform any other relevant duties as may be assigned by the respective Supervisor. Application can be submitted through AUWSA Postal address, email given below or by physical submission. AUWSA is an engendered Authority; qualified candidates are highly encouraged to apply. Applications should be addressed to the undersigned so as to reach him/her not later than 27th July, 2018 16:30 HRS.